Previous Are Orchestra Musicians Replaceable? You’re aware that the Hispanic Orchestra in New York just went under aren’t you? Other than the Boston Latin American Orchestra and a handful of the groups around Florida, I know little about the orchestras of that demographic. I couldn’t find anything about it but is that the actual name of the ensemble? Did it play exclusively Latin music or was it just an ensemble comprised of Hispanics/Latinos that played Western Music? The sad fact about the Hispanic/Latino population of the US is the social-economic bracket the group as an average is in (below the national average). Which is what really distinguishes some of the Asian (Chinese and South Asian) populations, and until this decade (due to increasing number of refugees and asylum seekers) the Middle Eastern population. 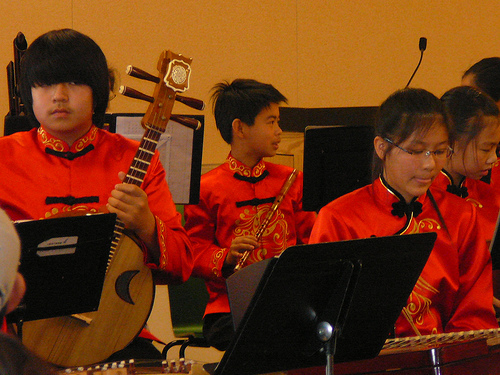 There are at least a hundred Chinese Orchestras (and by Chinese Orchestra, I mean traditional Chinese Orchestras with the standard instrumentation found in that kind of ensemble) with more than half of those formed withing the past 20 years in the US. Similar trends for the Arabic takht and firqat and Turkish fasli orchestras in the country. Sure, some fold, others get absorbed (e.g. the two Arab orchestras in the Dearborn/Detroit area which are now simply the Michigan Arab Orchestra) but on the whole these are growing in number.